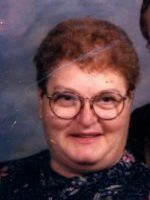 Dorothy passed away Wednesday, June 29, 2016 at Life Care Center of Plainwell. She was born October 30, 1939 in Kalamazoo the daughter of Donald and Margaret (Billings) Hamilton. Dorothy was a skilled seamstress and took great pride in her work. She enjoyed knitting, crocheting, sewing, reading, watching hummingbirds and spending time with her grandchildren. On July 19, 1954 in Otsego she married Robert Veldt who survives. Also surviving are her children, Jerald (Diane) Veldt of Plainwell, James (Crystal) Veldt of FL and Joni (Bill) Fixel of Okemos; 4 grandchildren, Rob, Melissa, Rachelle and Becky; 3 great-grandchildren, Isaac, Lyla and Kael; her sister, Carol Ayers of Battle Creek and several nieces and nephews. She was preceded in death by parents and siblings, Jack and Mary Lou. Friends may visit with Dorothy’s family from 6-8 PM on Thursday, June 30, 2016 at the Winkel Funeral Home, Otsego where a funeral service will take place Friday, July 1, 2016 at 11:00 AM with Pastor Paul Laborde officiating. Contributions in memory of Dorothy may be made to the American Heart Association. 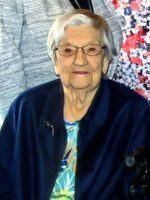 Betty passed away surrounded by her family, Friday, June 24, 2016 at Life Care Center in Plainwell. She was born April 2, 1925 in Grand Rapids the daughter of Paul and Sophia (Marciniak) Waichum. Betty attended Mount Mercy Academy in Grand Rapids and moved to Plainwell after graduation. She had worked at Wieshuiser Paper Mill where she met Lawrence Barber and on January 10, 1948 they were married. Together they had two daughters and she was able to remain at home as they were growing up. Betty lost her husband in November of 1968 so she began working at Kal-Quip and remained there for several years. In the 1980’s Betty moved to Kalamazoo and lived independently until her passing. In her spare time she enjoyed bowling, reading, playing the piano, riding her bicycle and collecting miniature bicycles. Betty loved spending time with her family and had enjoyed camping with both of her daughters and their families along with visits to Washington DC, Virginia, the Mackinac Bridge and Florida. Surviving are her children, Sue (Jim) Newcomb and Mary Jane Barber- Sleeman; grandchildren, Nathan (Shawn) Newcomb, Corey (Tricia) Newcomb and Matthew (Chris) Sleeman; great-grandchildren, Ally, Kailah and Hailey Newcomb; sisters-in-law, Mildred Bos, Doris Schuiteboer, Beatrice Gauthier and Beverly Gauthier; many nieces and nephews and her special friends, Barbara Hughes and Dottie Goodwin. She was preceded in death by her parents, husband, brother, Robert Waichum, brothers –in-law, Gerald Barber, Roger Gilligan, Howard Stull, Joe Gauthier, George Gauthier, Don Woodhams, Chester Walker, Jay Bos, Mike Schuiteboer and Art Roberts and sisters –in-law, Lillian Stull, Marge Gilligan, Lucille Woodhams, Lucille Barber and Geraldine Waichum. Friends may visit with Betty’s family Saturday, July 9, 2016 starting at 10:00 A.M. until the time of the memorial service at 11:00 A.M. at the Winkel Funeral Home, Otsego with Pastor Brian Lutz and Rev. Fr. Alan Jorgensen officiating. A private family burial of ashes will take place at Hillside Cemetery in Plainwell. In lieu of flowers contributions in memory of Betty may be made to Heartland Hospice of Kalamazoo or to the charity of your choice. Burton J. ‘Jim’ Colwell of Delton passed away Friday, June 24, 2016 in Plainwell. Jim was born April 11, 1948 in Plainwell the son of Robert & Harriett (Ohls) Colwell. 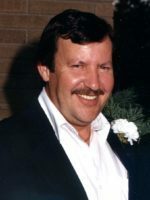 Jim enjoyed collecting VHS tapes, having a beer and listening to music; he was a skilled carpenter, a good cook and had a great sense of humor always happy and very kind hearted. Surviving are his children, Chris (Terrie) Colwell of Delton, Eric (Rebecca) Colwell of Plainwell, Niki (Zach) Westdorp of Kalamazoo, Alex (Erin) Colwell of Wayland and Jimmy Colwell of Plainwell; 10 grandchildren; 3 great grandchildren and 1 due soon; his siblings, Bob (Carol) Colwell, Randy (Pinkey) Colwell and several nieces and nephews. Preceding him in death were his parents and his siblings, Ted Colwell, Larry Colwell and Paula Manniko. Friends may visit with Jim’s family on Wednesday, June 29, 2016 from 10-11 A.M. at the Winkel Funeral Home, Otsego where a Funeral Service will be held at 11 A.M. with Celebrant Bill Rose officiating. Burial of ashes will be at Hillside Cemetery, Plainwell at a later date. Contributions in memory of Jim may be made to the March of Dimes. Dustin passed away June 19, 2016 in Otsego. He was born April 10, 1984 in Plainwell to Frederick Platteborze Jr. and Candy (Long) Pradon. He served his country in the U.S. Army Reserves. For several years he had worked at JBS Packerland in Plainwell and was currently employed at the Borroughs Corporation in Kalamazoo. Dustin was a great cook and enjoyed barbeques, a cold PBR, being outside and most of all spending time with his family. Surviving are his parents; fiancée, Kasandra McMeekan; children, Destiny, Sierra and Grant; siblings, Ashley Hatfield, Kaitlyn Jankowski, Dana Russell, Jack Abrams and Austen Smith; grandparents, Nina and Gramps Vanfleet and Fred Platteborze Sr. and many aunts, uncles and cousins. He was preceded in death by his grandfather, Papa Long; grandmother, Wanda Greenham; step-father, John Pradon and brother-in-law, Matthew Jankowski. Contributions in memory of Dustin may be made to the go fund me account set up for his children. Terry passed away Sunday, June 12, 2016 at his home in Otsego. He was born August 30, 1942 in Maumee, OH to Wes and Jean (Wymer) Revill. Terry proudly served his country in the U.S. Army. For many years he had worked at several area auto dealerships and garages as a master mechanic and had retired from Reardon Automotive. Terry loved NASCAR racing, driving race cars and was a big Earnhardt fan. He also enjoyed eagles and had a large collection. He was a member of the Otsego Moose Lodge #345. On January 21, 2000 in Ohio he married Susan Ahlberg who survives. Also surviving are his children, Jeff (Missy) Revill, Troy (Karen) Revill both of Manchester, Todd (Karen) Revill of Dexter, Terri (Allen) Fratarcangeli of Brighton, James Kelsey of Ludington, Andy (Jessi) Kelsey of Plainwell and Mike (Heather) Kelsey of Martin; 18 grandchildren; 1 great-grandchild and his siblings, Tobi Bell of Ann Arbor, Linda Scott of Maumee, OH and Mark (Chris) Ling also of Ann Arbor. He was preceded in death by his parents, and in-laws, Bill Ahlberg and June (Bos) Ahlberg. A memorial service will be held July 2, 2016 at 11:00 AM at the Otsego Moose Lodge #345. Contributions in memory of Terry may be made to the American Cancer Society. Glenn passed away peacefully on Thursday, June 9, 2016 at his home in Otsego. He was born June 25, 1945 in Hammond, IN, the son of Glenn and Juanita (Luttrell) Beaman. Glenn served his country in the U.S. Marine Corps and was awarded a purple heart for injuries he received in Vietnam. 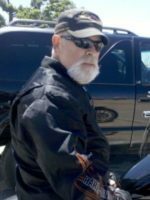 For many years he was a welder and in his spare time enjoyed music, woodworking, horses, computers and riding motorcycles. His biggest love was his family Jim especially loved spending time with his children and grandchildren. On July 15, 1978 in Lawrence, MI he married Donna Waber who survives. 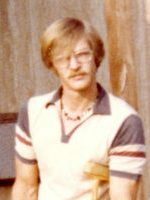 Also surviving are his children, Heather (Jody) Richardson, Gene (Tina) Myers, Shane (Tracy) Myers, Joshua Beaman, Jennifer (Tom) Morsman and Joseph (Katelin) Beaman; 11 grandchildren; 2 great-grandchildren and his brother Rick Beaman. He was preceded in death by his parents, 2 sisters and a brother. Burial of ashes will take place at Fort Custer National Cemetery in Augusta at a later time. Contributions in memory of Glenn may be made to www.frontrangeequinerescue.org. Russell passed away Wednesday, June 8, 2016, at his home in Alamo Township. He was born August 6, 1946 in Plainwell, the son of Russell Sr. and N Jean (Brewster) Brown. 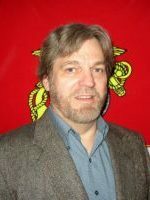 Russell served his country in the U.S. Navy during the Vietnam War and was a member of the Otsego VFW Post #3030. In his spare time, he enjoyed woodworking, riding his Harley Davidson motorcycle, throwing horseshoes, camping, going mudding, off roading and photography. On August 22, 1987 in Allegan, he married Kathleen Bergholtz who survives. Also surviving are his children, Jennifer Brown and Timothy Brown; grandchildren, Alex and Garrett Boyer and Ethan and Christopher Brown and his sister, Jeanne (Steven) Killick. Burial of ashes with Military Honors will take place Wednesday, June 15, 2016 at 1:00 P.M. at Fort Custer National Cemetery in Augusta. 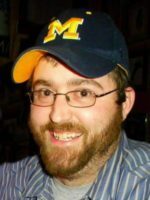 Contributions in memory of Russell may be made to Hospice Care of Southwest Michigan. Frances passed away Sunday, June 5, 2016 at Bronson Hospital in Kalamazoo. She was born March 11, 1936 in Douglas the daughter of Chester and Hilda (Stein) Wightman. For 19 years Frances had worked at Borgess Medical Center as a Registered Nurse until her retirement in 2000. In her spare time she enjoyed knitting, crocheting, writing poetry and playing the organ. Frances was a supporter of Christian Neighbors and the Shriners Hospitals for Children and was a member of the Eastern Star in Bedford, MI and the American Legion Auxiliary Post #89 in Allegan. Surviving are her husband, Milton “Red” Strand; son, Brad (Joy) Strand of Princess Anne, MD; daughter-in-law, Marve Strand of Watford, ND and her siblings, Lucille, Doris (George), Caroline (Jim), and Phil (Fae). 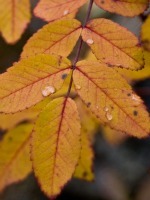 She was preceded in death by her son, Mark, grandson, Travis Strand and brother, Dale. A memorial celebration will be held Saturday, June 11, 2016 at the Allegan Masonic Lodge, M-40 South, at 1:00 PM. Contributions in memory of Frances may be made to the Shriners Hospitals for Children. Jack passed away Friday, June 3, 2016 at the Wings Home in Allegan. 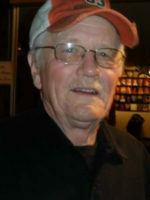 He was born April 18, 1939 in Otsego the son of Clifton and Laura (Root) Holmes. Jack served his country in the United States Navy. He was a lifelong resident of the area and had worked at Gibson Guitar, Kal-Equip, GenTex, Donnelly Corporation, Allen Test Products and had retired from Preferred Plastics. After his retirement he drove cars for Harold Zeigler Ford. In his spare time Jack enjoyed playing music, fishing, golfing, shooting pool, spending time with his family and friends and mowing the yard on his riding mower. He was a life member of the Otsego VFW Post #3030. On June 25, 1977 he married Linda Edson who survives. Also surviving are his children, Dan (Sherri Kuiper) Holmes of Plainwell, Deb (Keith) Todd of Otsego, Denise (Bob) Golm of Byron Center, Darlene (Bob) Enos of Otsego, Jackie (Marvin) Fox of Plainwell, David (Kathie) Holmes of Wayland and Angela (Fred Oaks) Holmes of Kalamazoo; 13 grandchildren and 2 great-grandchildren. He was preceded in death by his parents; infant brother, LeRoy, brothers, William and Tom Holmes and by his sisters, Laura Lewis and Ruth Holmes. Friends may visit with Jack’s family starting at 10:00 A.M. on Thursday, June 9, 2016 at the Winkel Funeral Home, Otsego until the time of the memorial service at 11:00 A.M. with Celebrant, Bill Rose officiating. Military Honors by Otsego VFW Post #3030. Contributions in memory of Jack may be made to the Wings Home of Allegan or Otsego VFW Post #3030.